ROSE LITIGATION, LLC IS A BOUTIQUE FIRM THAT SPECIALIZES IN REAL ESTATE AND BUSINESS LAW. Our expertise in complex commercial real estate and business legalities can help your company avert and manage risk effectively and cost-efficiently. Rose Litigation, LLC also provides alternative dispute resolution to help facilitate and resolve disputes outside of the court system. Our neutrals provide mediation services to help individuals and businesses head off costly, time-consuming legal procedures while reaching solutions to effectively and efficiently meet the parties needs. 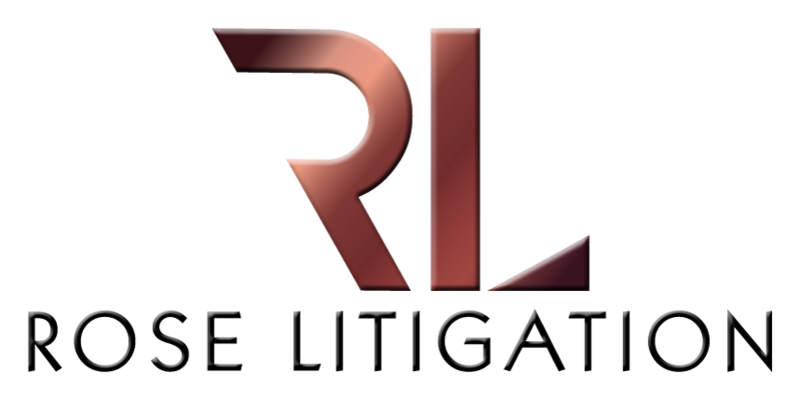 ROSE LITIGATION, LLC PROVIDES EXPERTISE AND STRATEGIC REPRESENTATION IN REAL ESTATE AND BUSINESS DISPUTES. We offer specialized and tailored representation to commercial developers, commercial landlords, property managers, asset managers, and financial institutions in all aspects of real estate law. The Rose Litigation team combines legal advice and business counsel with an eye on your bottom line. Rely on us to negotiate and review contracts and leases and to enforce contracts to maximize your interests or mitigate your exposure and liability. As legal advisors and business counselors, Lisa Rose and her team know the assertive pursuit of your legal rights depends on knowing how the law applies to your case and making sure you understand the ramifications of every step we take on your behalf. Want to head off problems before litigation? Lisa Rose can serve as your in-house counsel, providing advice and legal guidance that protects your interests and lets you focus on your business. Rose Litigation, LLC also provides an innovative approach to resolving disputes outside of the court system. Our registered mediators provide an efficient alternative while avoiding the costs and risks of litigation. Our mediators can help facilitate dispute resolutions in all types of adverse relationships, including work place disputes, business disputes and family disputes. In her experience, Lisa knows that successfully representing her clients’ interests goes beyond understanding every fact and nuance in the law. She has built her practice on understanding the best outcome you can attain and how to achieve it. This includes knowing the appropriate courts and jurisdictions for resolving your legal issues. With the mindset of a litigator, I assist clients in reviewing contracts and transactional documents to reduce and minimize liability and maximize their interests. As a strong communicator and manager, I enjoy overseeing litigation management, providing continuous counsel and guidance to the team, so that together, we identify our client’s best interests and resolve their issues through tactical and strategic maneuvers.